Here’s a couple of photos thanks to Hila Rubinstein. 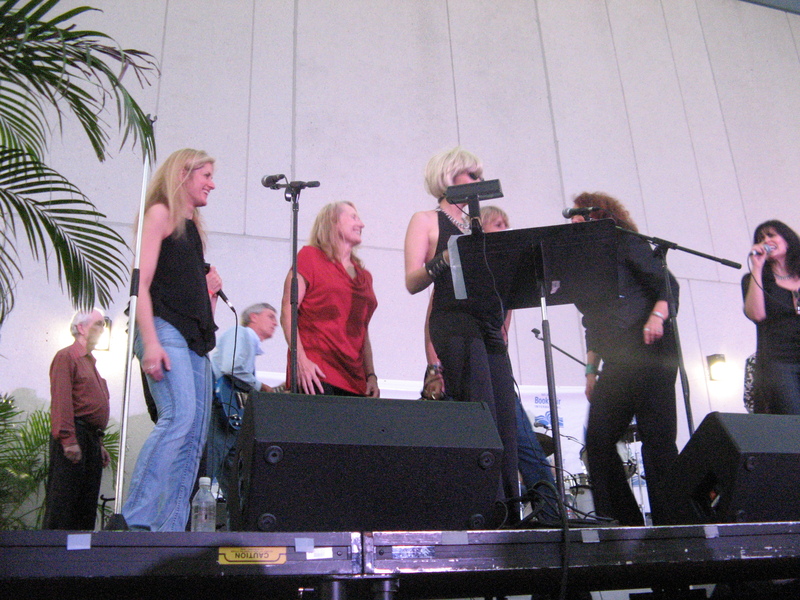 Okay, guess who sang back up on six songs at The Rock Bottom Remainders show on Saturday night at Miami Book Fair. No… No… Guess again. YES, ME! The RBR, for those of you who don’t know, are the only all-author band. The group includes: huge bestsellers (of books, not records) Dave Barry, Mitch Albom, Stephen King, Kathi Kamen Goldmark, Carl Hiassen, Roy Blount Jr., Amy Tan, Frank McCourt, Ridley Pearson, Scott Turow, Matt Groening, and Greg Iles. They often feature special guests (Richard Belzer was there). 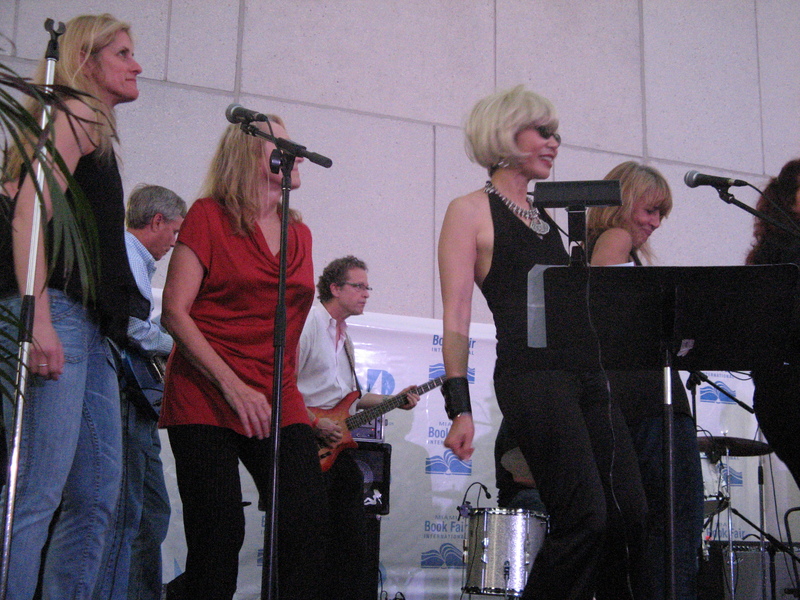 I have to say it was the most fun I ever had in my life; at one point I was standing next to Amy Tan and Roy Blount singing Da Do Ron Ron and Kathi Goldmark said to me, “You really can sing!” To say she was being kind is an overstatement, but for a moment all of my rock star dreams came true. I’ve never been on stage like that, but it really made me want to sell more books so I could be in the band full-time. I will be at the Miami Book Fair November 15-16 weekend. The 15th is not my birthday, but it is Ed Asner’s birthday so I’m sure we’ll be celebrating that.